International Technical Coatings (ITC Manufacturing), the premier manufacturer of wire mesh products for material handling and fencing today expresses its wealth of gratitude to its heroes who have served and currently serve in the United States Military. 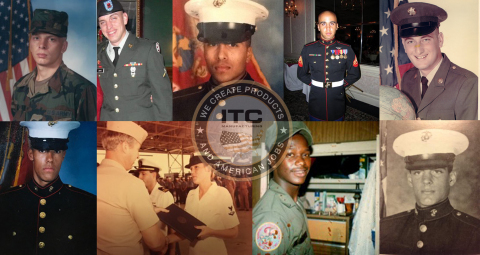 Throughout the month of November, ITC Manufacturing employees have been recognized for their accomplishments, experiences and time served in the different branches of the United States Military including the Army, Marines and Navy. Recently, ITC Manufacturing distributed more than 200 frozen turkeys for the Thanksgiving holiday to all its employees in both Phoenix and Columbus as a way to say thank you. This event happens annually and is one of ITC’s favorite traditions. ITC Manufacturing has been committed to hiring veterans and reservist members for a number of years and is part of the Employer Support of the Guard and Reserve (ESGR). Connect with ITC Manufacturing on Twitter @Itcmanuf, on Facebook, and on LinkedIn. For more information on ITC’s Heroes, visit ITC’s blog here: https://itcmfg.com/blog. ABOUT INTERNATIONAL TECHNICAL COATINGS: Headquartered in Phoenix, Arizona, ITC Manufacturing is the premier manufacturer of wire mesh products for the material handling and storage products industries. As one of the largest wire and steel fabricators in the United States, ITC manufactures a wide range of wire product including heavy and light duty wire mesh decking, dividers and flue spacers, gridwall/slatwall, POP displays, industrial and specialty drawn wire, custom wire and steel products, mine mesh, re-enforcing mesh, security fencing and roll formed products. In addition, ITC offers value-added services such as product design and engineering to meet the needs of distributors, mass merchants, retailers, archive storage providers, OEM’s and third-party logistics providers.